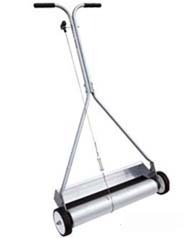 Magnetic sweepers are widely used in industrial area and home use. You can use them to sweep iron chip, nail, ferrite piece, etc very easily. Heavy-duty, quick-release magnetic sweeper. Very smartly collect steel nails, screws, wires, staples, and other metal remnants. It works very perfectly in cleaning factories aisle, shop aisles, construction sites, walkways, loading docks, parking area, etc. You can clear the collected steel objects to certain location very easily through pulling the release in sweeper. On the basis of practice, we design 24'' width, and 48'' handle. It can pick up 6 pounds iron pieces. Very strong and magnetic permanently. Various size is available. It can snaps up up nails, screws, paper clips and more. Clear the collected iron parts through release handle in the sweeper. It works very perfectly in cleaning factories aisle, shop aisles, construction sites, walkways, loading docks, parking area, etc. Very strong magnets inside the magnetic sweeper. It is powerful magnets to pick up iron pieces on the ground very easily. 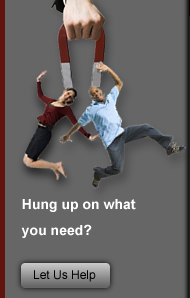 It is simply to hang from your vehicle and sweep your whole road, your parking place, airport and more. It will clean a lot of tire damaging steel material. It is made of strong ceramic magnet with aluminum housing. It can be manufactured according to customer's requirement. 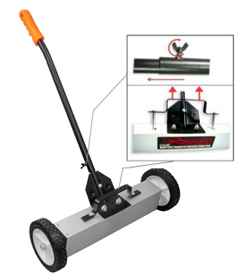 Magnetic floor sweeper is designed to provide a fast and efficient method of keeping floor space free from numerous small ferrous metal objects such as nails, screw, tacks, nuts and bolts. The sweeper is fitted with two large robust rubber wheels The direction of the sweeper is controlled by a long tubular steel handle which can be dismantled. 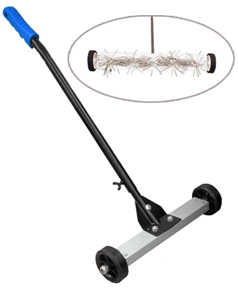 Wheeled Magnetic Sweeps easily work to attract nails, screws, metal shavings, and more. It can get across obstacle very well due to round design. Ergonomics height will let you feel very comfortable during working time. Lightweight, durable and easy-to-use. Used by homeowners and small shops for clearing metal debris from walkways, garages and yards. 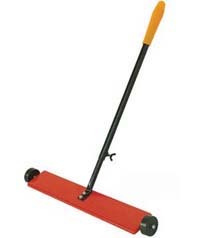 This Magnetic Mini Sweeper is one of many top quality items in our Magnetic Sweepers department.